Welcome to Drumeo! 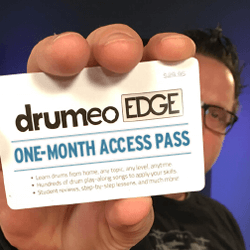 Drumeo has been providing video drum lessons for more than 10 years -- currently delivering the ultimate online drum lessons experience through a membership site called Drumeo Edge, where drummers can learn through live and on-demand drum lessons from more than 80 of the best teachers in the world. "Great teachers for every theme on drumming, great features to practice and accessible- i love it"
"I recently purchased THE BEST BEGERNERS DRUM BOOK after watching your beginners drum lesson on YouTube. The book is very well designed and Informational (I call it my Drum Bible). I find it very informational and entertaining. I feel all of you CARE... I just got my first drum set on my 68 birthday 4/5/2020. Keep up the good work. LeRoy.."
"Great way to move forward with your drumming!!!! " 1 week ago , ?????????? "An integrated experience is the best decision I made in my educational journey I love with all my heart "
"Totally amazing package. All you need for a lifetime's drumming skills." The one stop shop for the best in drumming tuition. This is simply a one stop shop for drumming tuition. I first tried to play the drums more than 20 years ago and gave up. Now, at the age of 68, I have bought a decent Roland electronic kit and started again and with the aid of Drumeo and it’s great tutors I am making great progress. I cannot recommend it highly enough! Totally professional - always inspiring. "As a former professional guitarist in the 70`s I wished I had the opportunity to have access to the awesome professional instruction on the guitar. I do have the opportunity to avail myself to Drumeos incredible courses and phenomenal Staff instructors.The guest lineup which include Icons Like Bernard Purdie. The staff insures you get personal counseling and direction to insure your success in reaching what ever goals you have in mind. For the Novice to the Professional there is nothing but Gold inside Drumeo." As a budding Drummer and an Ol 70`s Guitarist/Musician Drumeo is able to provide the essential fundamentals along with advance techniques seamlessly. The Instruction by staff and guests are all master classes. If you are serious about playing the drums or are only interested in drumming as a hobby Drumeo is the true path to your journey. "I make my first steps in Drumeo but I like it from now on and think it will help very much to get a better drummer. In comparison with my German Course Lessons it is much better and has huge more informations and a very easy way to go through, specially with the Find-Function. Thank you for your work for you all on Drumeo. Klaus from Germany"
Reasonable offer for all drummers! The price was extremely fair. Great value for such a great product! "Love Drumeo, it's improved my drumming." "I purchased a drumeo coffee mug, 2 drumeo towels, and the drumeo gray minimalist t-shirt. I am happy with all of those items "
"Hello Drumeo, at the moment everything is okay. I do not have any questions about your protégés, in case of problems I turn to you with confidence. Keep it up." 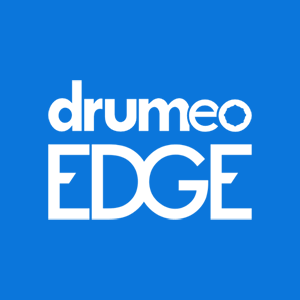 "So far, I have found that drumeo has a lot of good videos for a lot of different topics. It is a great way to learn about a variety of aspects of drumming and select specific areas for yourself to improve. The support and community seems great as well. For the price it is well worth it. " "Honestly speaking, Drumeo is the best in the industry. Very professional service and products. Highly recommended. " "Great deal great price for the amount of information provided I use it every day. " "Thanks ti Drumeo, I have all I need to become a better drummer. 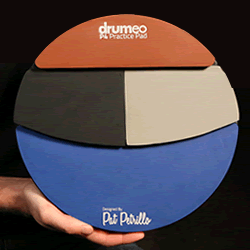 Now it's up to me"
This is the best practice pad ever! "Great to teach from drummers with lots of both different and simular experiences behinde the drums"
"I have been suprised and very pleased to see the quality noted in all of your products and the wide breadth of perspectives and topics offered in your drum course. Now, I only hope to find the time to explore all of the comprehensive subjects that you have made available." Playing in a month and a half!! Drumeo has helped me be able to play at my church in just a month and a half!! "Great value, Work at your own pace. I am traveling sling and watching videos. Getting motivated to get back home and hit the drums." Each lesson has great tips. Many interesting fills are carefully explained in easy to understand lessons. Sheet music is available to print out (I just figured that out!). Maybe they could suggest that you print out the music of each lesson. Old school guys like paper not just digital copies. "This is just the beginning of my experience with Drumeo. Plan to purchase lesson package soon! Have visited numerous sites and this is hands down the best!" If you want a more versatile practice with different surfaces that benefit you from pad to set this is the best! Excellent price too and rapid delivery!